A visit to Bangkok in Thailand is incomplete without dropping by two shopping destinations: Chatuchak weekend market and Central World shopping mall. While the former is well-known for its bargain finds, Central World has become a crowd-magnet for housing the largest flagship branches of some of the world’s most renowned retail brands such as Adidas and Uniqlo. You can expect nothing less from a shopping destination that claims to be Southeast Asia’s largest mall with over 550,000 square meters of retail space. In contrast, the Philippines’ largest mall complex, SM North Edsa, has a total gross area of 492,000 square meters. Like Henry Sy’s SM Group that built the Philippines’ biggest shopping malls and transformed Filipinos’ shopping behavior, the Chirathivat family’s Central Pattana built some of Thailand’s most widely known retail destinations, including Central World. Thais can thank 56-year-old Wallaya Chirathivat, among others, for that. As senior executive vice-president (SVP) for business development and construction management of Central Pattana, Chirathivat is in charge of the innovations of the company’s mall complexes and other properties. The company’s portfolio already includes 30 shopping centers, seven office buildings, two hotels and two residential condominiums. Chirathivat is one of the keynote speakers at the National Retail Conference and Stores Asia Expo (NRCE) 2018 on August 9 and 10 at the SMX Convention Center in Pasay City. Organized by the Philippine Retailers Association (PRA), the country’s biggest retail industry grouping, the two-day event will carry the theme “Reinventing Retail” as the industry is challenged by advances in e-commerce and fast-changing demands of consumers. Now on its 25th year, the annual conference is seen to attract over 3,000 participants including local and international chief executives, managers and leaders. Central Pattana is the property arm of Central Group, one of the largest conglomerates in the country that has reported more than $450 million worth of revenues in 2017. The company, founded by the late Tiang Chirathivat, started as a small stall that sold refreshments in the riverside in Bangkok in 1947, according to Nikkei Asian Review. Today, the company is headed and operated by the third generation of the Chirathivat family, the second richest clan in Thailand, as reported by Forbes. The family has a net worth of $21.2 billion. As one of the new guards of the company, Wallaya Chirathivat, an economics graduate from the University of California in Los Angeles, has become one of the most hands-on executives of the retail giant. 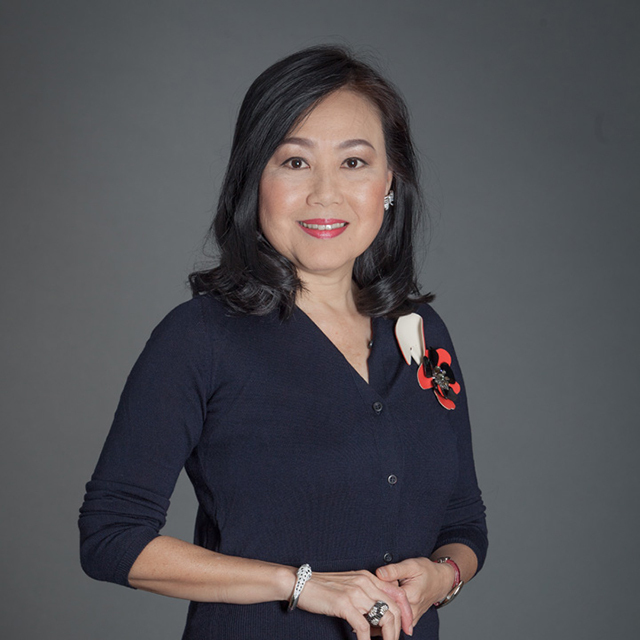 In a story by Thailand-based English language newspaper Chiang Rai Times, Chirathivat said she spends 100 days a year travelling to different shopping centers worldwide—from the luxurious department stores in Europe to upscale retail destinations in the US—to learn trends and practices that she can incorporate in the company’s properties. Since assuming her post as SVP for business development in 2012, the company has annually won recognition worldwide for its properties’ architectural design and energy conservation efforts. The latter has even helped the company reduce utility expenses by three percent on a year-on-year basis. “For all our new centers, function is foremost, but each one stands out with different art and designs that are intended to blend in with the environment,” Chirathivat said in her interview with Chiang Rai Times. Entrepreneur Philippines is a media partner of the PRA in holding the National Retail Conference and Stores Asia Expo (NRCE) 2018. For more information about the event, click here.